Question: I would like to know the Microsoft Windows 7 Home premium upgrade prices for both OEM and retail editions. Answer: Win 7 is offered in both Full and Upgrade versions. If you're running a genuine version of Windows Vista or XP, then you qualify for Windows 7 Home Premium upgrade. 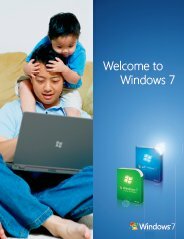 The Windows 7 Home Premium upgrade price is $119.99 and the estimated retail pricing for Windows 7 Home Premium full license is $199.99.